Casio Unisex G-Shock Watch GLS-5600V-3ER ..
CASIO G-SHOCK G-300L-2AVERNew contemporary styled G-Shock with wide leather look strap. 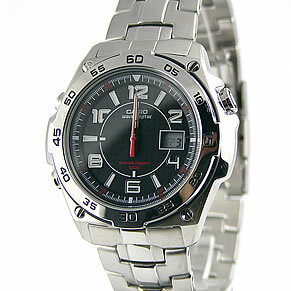 ..
Mens Casio Wave Ceptor Watch WVQ-143DE-1AVER Specifications: Di..
"Great watch... I've had mine for around 8 years and never changed the battery!" "Haven't needed more from a watch......"
"Best watch ever and I really like it a lot....."
"Cool looking watch, for this price it is a bargain."